He is accompanied by the foreign minister and business people. 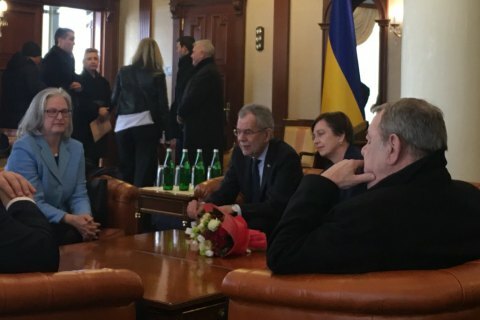 Austrian President Alexander Van der Bellen arrived in Ukraine on a three-day official visit, Ukraine's ambassador to Austria, Oleksandr Shcherba, has tweeted. He noted that he is accompanied by Austrian Foreign Minister Karin Kneissl, other government members and a business delegation. On 13 March, Van der Bellen will meet representatives of Austrian business and Austrian members of the OSCE and other international organisations. On 14 March, he will meet Petro Poroshenko and the two presidents will take part in a Ukrainian-Austrian business forum. Later Van der Bellen and his spouse will visit Lviv where he will read a lecture at the Catholic University. Poroshenko took part in the Vienna Ball in February.